As an Orthodox Jew, I believe that God gave us the Torah and that it is our job to figure out, through the workings of our tradition, what that Torah means as far as normative behavior. In other words, I believe in mitzvoth and commandments and that there is a Divine will that we do them. Of course, not everyone is in a position to do every mitzvah – some are based on being in the Holy Land, others are based on where you are in life and gender – but the general idea is that there are proscribed commandments that God wants us to do. I also believe that we are constantly trying to interpret God’s will, and interpret the rabbis’ understanding of the Torah and the commandments through the millennia. 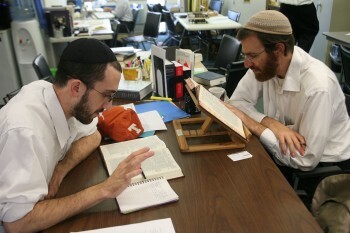 One rabbi interprets what the rabbis before them thought – sometimes even disagreeing with the previous generation’s understanding, but usually only interpreting their words. So there is change in understandings from one generation to the next and there is a spectrum of understandings. That perhaps is a grey zone in itself: respecting the right of Torah interpreters to disagree strongly with each other – even contradict each other – and all be considered part of the God’s will that God’s Torah be passed to human interpreters. Yet there is an entirely greyer level that anyone involved that steps out of the pristine world of the Beit Midrash, of the theoretical study of Torah, encounters. That is the world of people who openly admit that they are practicing a Judaism which is a break from the past, or a transformation of past understandings of Torah. People who may say that their Judaism is vital and even God’s will but would openly say that their ideas and actions go outside the traditional realm of halachic interpretation and the tradition of Jewish theology. There are people who are trying to be the best Jews they can be, but may not even believe in God. There are people who may believe they are attempting the will of God, but do not think that the Torah as we know it reflect that will. How do I relate to people who are committed Jews, yet are committed outside of the model of commitment that is traditionally meaningful? A new paradigm – a passionate, honest but grey and nuanced paradigm – needs to be developed where I can view with the actions of all Jews who are sincerely trying to be the best Jews they can be with joy and enthusiasm. One way of looking at this is the appreciation of people who are trying to grow and stretch themselves Jewishly: If my congregants are pushing themselves to understand Torah and Judaism, the Jewish community and Israel more and more, then no matter where that journey takes them – whether it takes them to new interpretations or even new deviations from the tradition – I need to not only respect that growth, but to admire and take solace in it. And perhaps the best way of squaring this with my Orthodox understanding of the world is that God has set us all on a path, and I need to respect that path. For some people, their life may not take them on an Orthodox path – but the critical thing is that they are walking, and moving, and even running and trying to find the path that God – even the God they don’t believe in – has set out for them. One day, if we are constantly pushing ourselves on these paths, and constantly re-examining the road we are following to make sure it is the right road, we will end up at the right place – in our generation or the next all the way to the end of time. 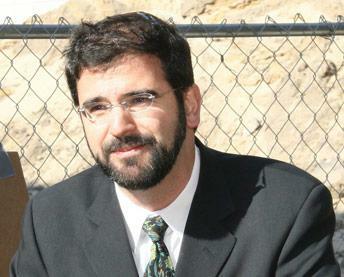 Rabbi Asher Loptain is the current President of Yeshivat Chovevei Torah Rabbinical School.